I would love to tell you that I spent my vacation at places like Houston Brook Falls. But we’re homeowners now, so vacation is just another word for work. While I did take an afternoon off for my annual pilgrimage to swim under the falls, I’ve spent the majority of the past few weeks covered in some combination of grout, mastic, paint, sawdust, stone dust, wood glue and tiny shards of tile. On the one hand, this is less exciting that than killing lazy August afternoons on the boat with a growler of Oxbow and a couple of John D MacDonald novels. On the other, a lot got done. 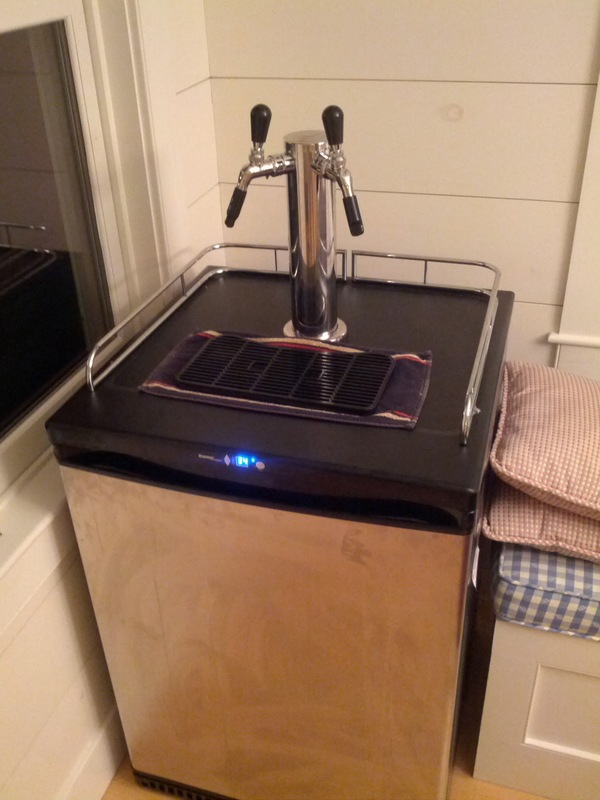 This, for example, was our kitchen when we moved in. After finishing off the tile – and for your sake, don’t look to closely at the grout lines or you’ll get seasick – this is what it looks like today. Even with the amateur hour backsplash, that seems objectively better. 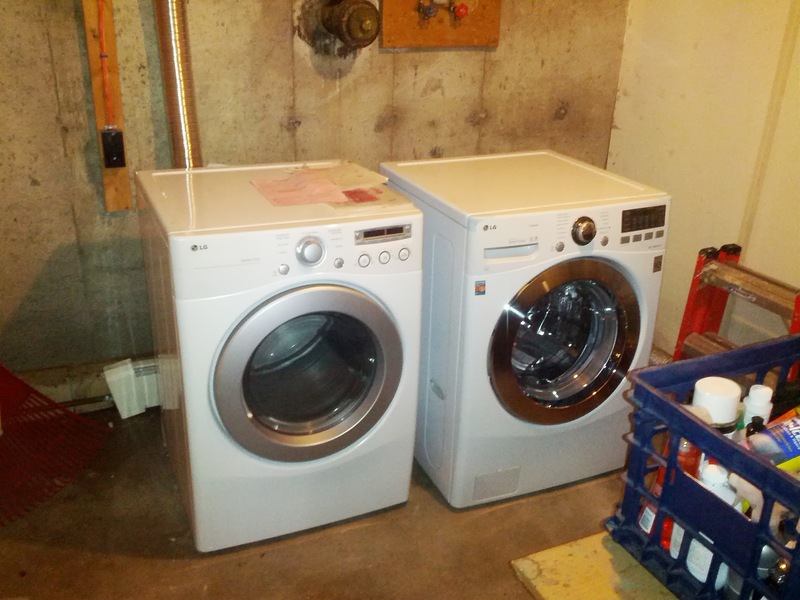 One of the other projects was getting our brand new LG washer and dryer off the concrete floor in our basement – apparently elevating the machines extends their lifespan along with making them easier to use. 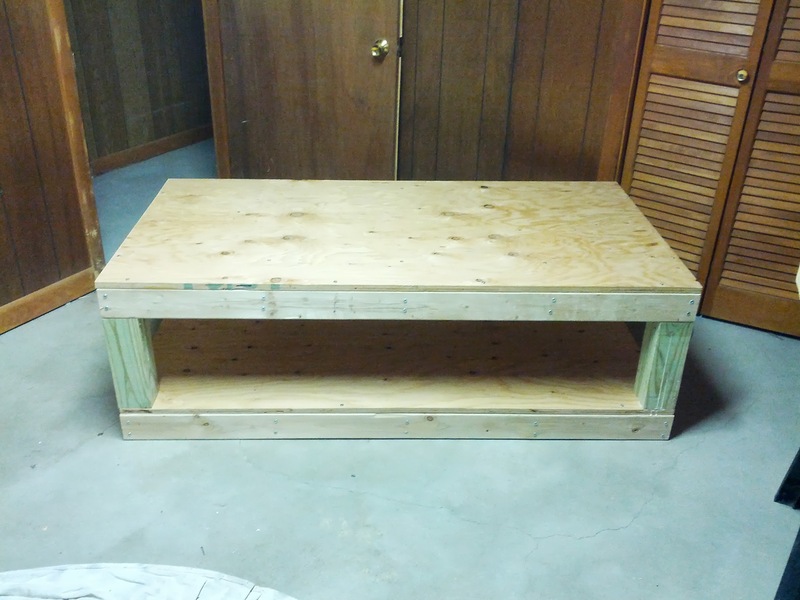 Rather than pony up $600 for the official LG laundry pedestals, $70 worth of plywood and 2×4’s along with a borrowed miter saw produced a platform that has been charitably described as “functional.” As an aside, if any of you need to manufacture something similar, I used the plans here, modifying the dimensions slightly for our larger, heavier equipment. 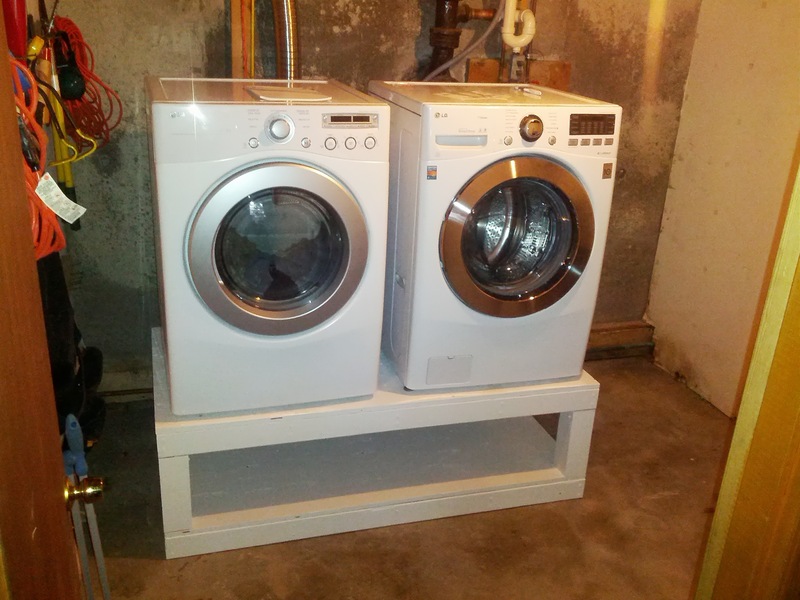 With an assist from my father and brother – my wife didn’t think I should lift the 226 lb washer by myself, oddly – they’re now elevated to a more convenient level. 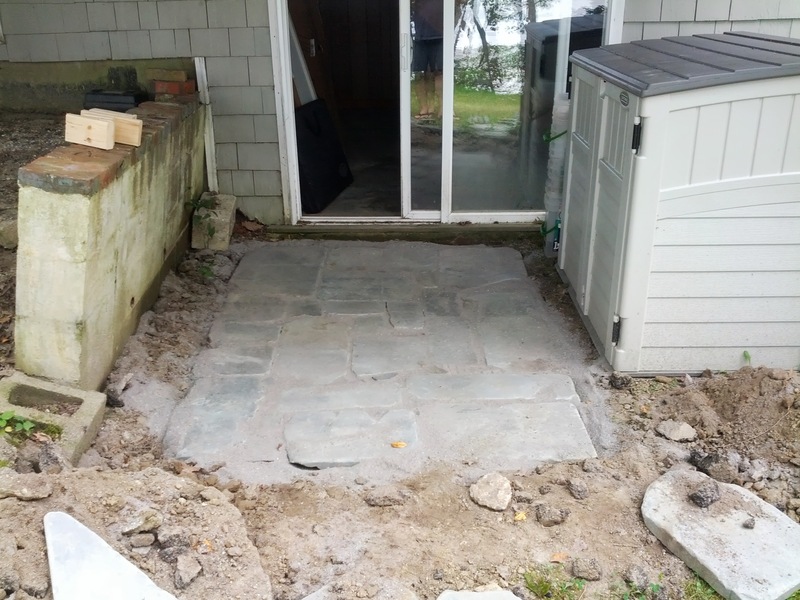 Outside the aforementioned basement, meanwhile, our walkout was a lumpy, uneven and moss penetrated disgusting slab of asphalt. Which tore out, fortunately enough, in sheets courtesy of a pick axe. Into the hole that created went a hundred pounds of stone dust and surplus flagstones my parents had left over from their front walk project. 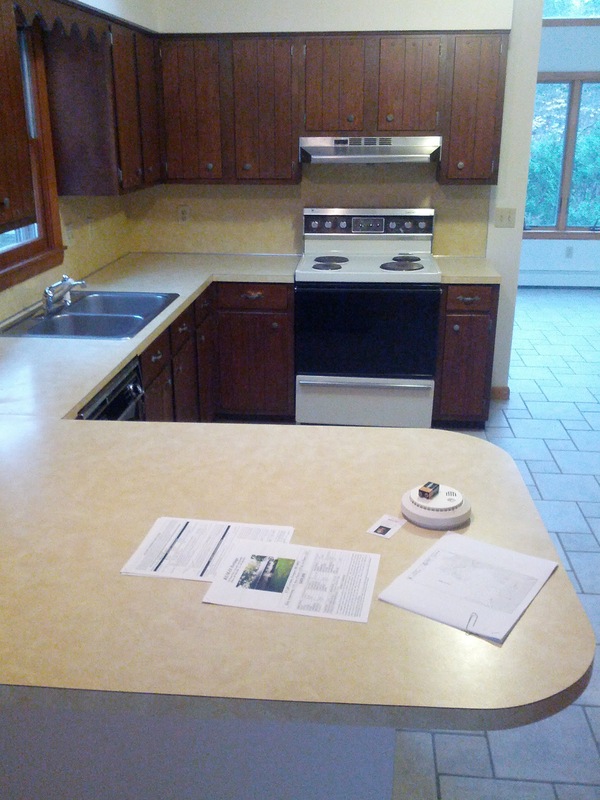 It needs to settle and then be edged, but as with the kitchen, it’s an improvement even as is. 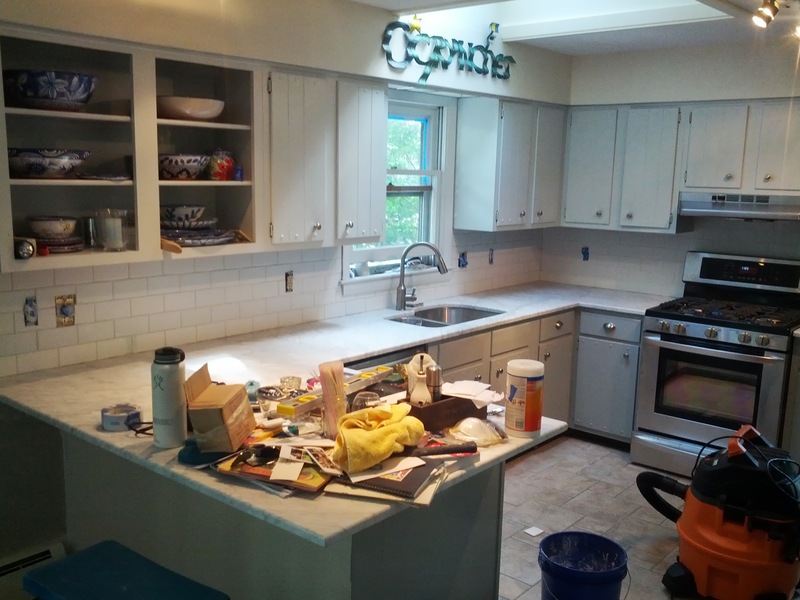 Interspersed with these larger projects were the predictable volume of smaller ones: leveling the dishwasher, priming and painting unfinished bookshelves, repairing and re-caulking seals in the shower, securing loose water pipes to joists and so on. All in all, it was a unique vacation. But undeniably a productive one. The other silver lining? Working on a computer never seems more attractive than after you’ve spend a couple of days almost cutting your fingers off with a tile saw. Tl;dr? I’m really looking forward to getting back to work tomorrow. Vacation is hard.